I live in a one bedroom flat so the sewing machine is put in a cupboard at the end of every day. 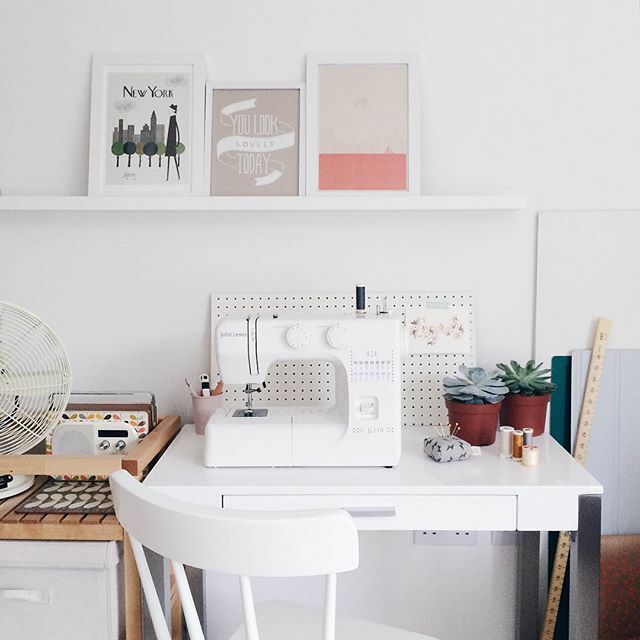 Here's a photo of my sewing space for #sewphotohop. It really is this tidy and compact - I live in a one bedroom flat so the sewing machine is put in a cupboard at the end of every day. I make a lot of use of the portability of my sewing machine - this tiny workspace is in the bedroom, but I often sew at the kitchen table. Next month, I'm packing everything up and moving into a shared studio workspace only five minutes from my home in north London - can't wait to have more room!